Time is always of the essence for me, whether I am cooking or making a craft project. Ask anyone! So, I’m really happy to share this fun, pretty and super easy ornament project. The colors we chose are some of the new trendy colors for 2017, so if you make the ornaments now you will be ahead of the color trends for next year. But aquas and corals are two of my favorite color choices always. And the best part? 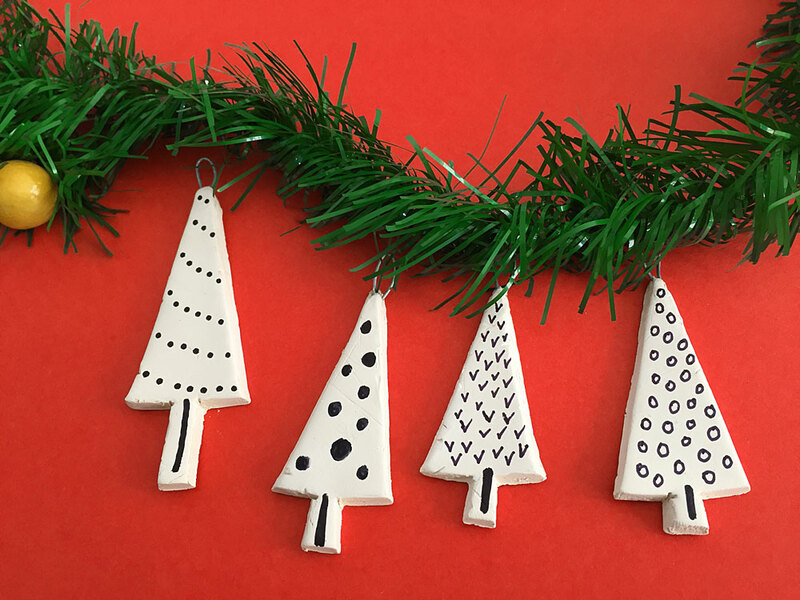 You can whip up one of these ornaments in about 10 minutes! It’s a great holiday project to do with the family and friends. And who doesn’t love glittery ornaments? 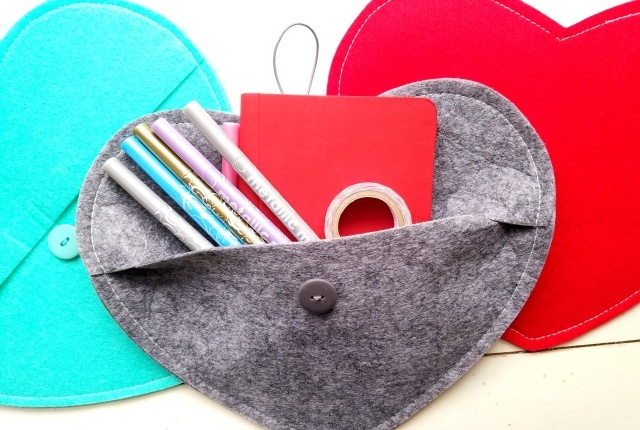 Great gift idea for friends and teachers. Prior to starting, gather all materials and an old egg carton or something to hold your ornaments while they are drying. Unbend a paper clip, leaving the largest bend in tact for a hook. Apply a bit of glue onto the long, straight end and insert into the ball. Let dry. 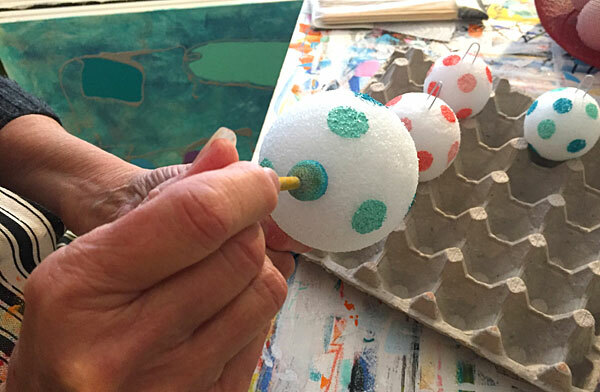 Using either a paint brush or a foam dabber (you can find these in craft stores in the art departments, usually sold in packs of various sizes.) 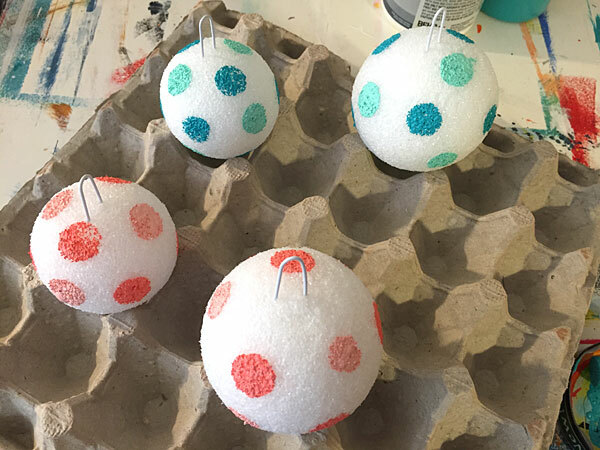 apply paint dots onto your styrofoam ball. 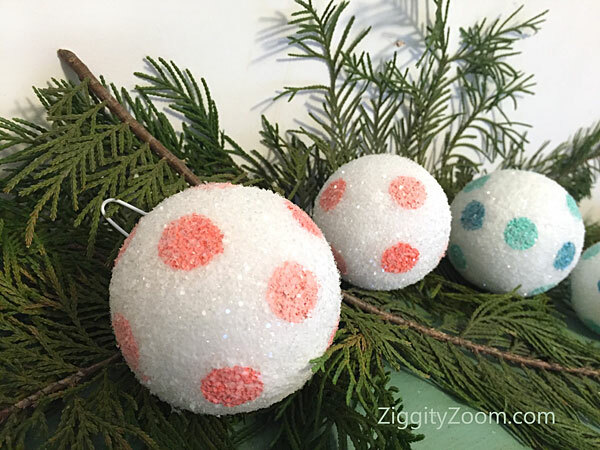 Once dry, just paint a thin coat of watered down white glue or gel medium onto your ornament, then immediately sprinkle with glitter and set aside to dry. 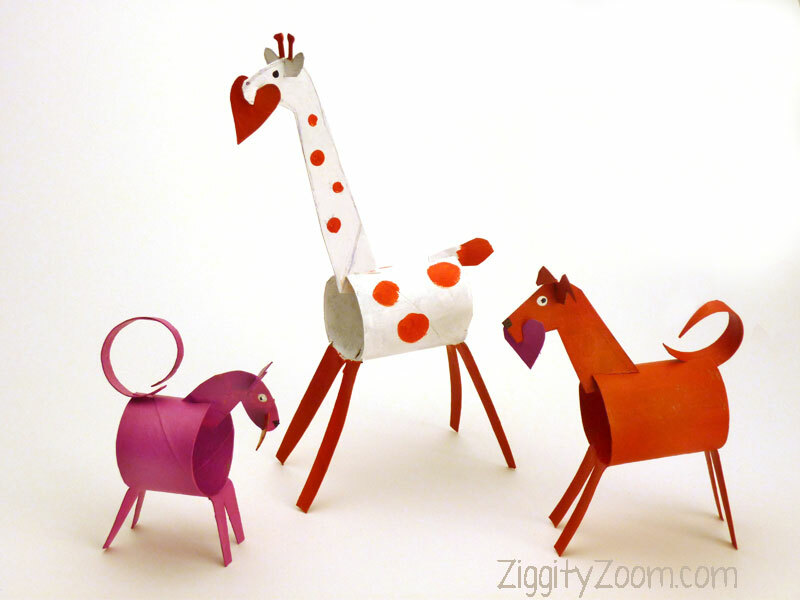 Option: try other designs and lines to decorate. Thinking the smooth, styrene balls will work best for other designs.